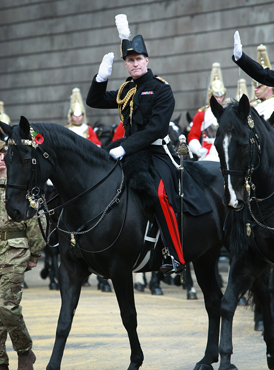 GL RFCA has always had a special relationship with the City of London which can be traced back to 1908 when the City formed its own Territorial Force Association with the prime object of supporting the Reserve Force units with City of London connections. The City Association operates as a sub-Association within GL RFCA. This unique arrangement enables the work of the Reserve Forces to continue to be supported within the boundaries of the City. 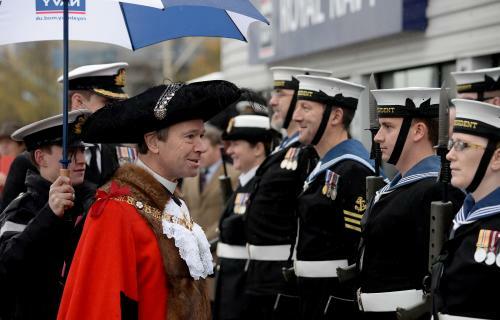 The Association deals with all applications for City unit status and the promotion of links between Livery Companies, City businesses and institutions and the Reserve Forces and Cadets. Importantly, it is also responsible for co-ordinating the military input to the Lord Mayor’s Show, the Remembrance Service at St Paul’s Cathedral and the wreath laying by the Lord Mayor at the London Troops Memorial in front of the Royal Exchange.